Denis Papin was a French-born British physicist and inventor who played an important role in the early development of the steam engine. 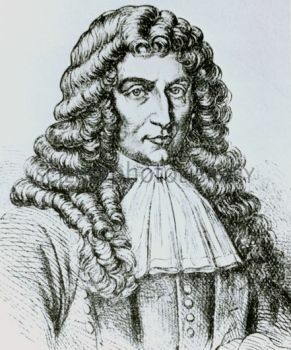 In 1679 he demonstrated a device that came to be known as 'steam digester of Papin'. With this machine, he showed that the pressure of steam could move heavy weights. The steam digester was a cylinder with a lever arm hinged at one end and with a weight at the other. The end of the cylinder had a small valve connected with a piston and fixed to the lever. 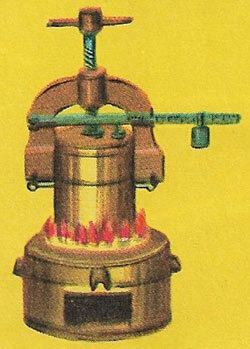 The pressure of steam lifted the piston, which in turn lifted up the lever arm with the weight attached. His invention demonstrated not only the power of steam but the fact that increased pressure raises the boiling point of a liquid. Although the basic principles of the steam engine were revealed by Papin's steam digester, it took many more years to work out all the details of how steam engines could be built and used for practical purposes.